Dr. Lichtenberger brings a wealth of experience and extensive training to LIFE Aesthetic Center. He is board certified by the American Board of Facial Plastic and Reconstructive Surgery as well as the American Board of Otolaryngology, Head and Neck Surgery. His surgical skill and artistic style combine to enhance the beauty in each and every patient. He attended the University of Pennsylvania, and then after receiving his medical degree from Robert Wood Johnson Medical School in New Jersey he completed a six year residency in Ear, Nose and Throat and Facial Plastic Surgery at the University of Vermont and Dartmouth Hitchcock Medical Center. During his training he focused on head and neck oncology and skin cancer excisions, thyroid and parathyroid surgery, and nasal and sinus procedures, in addition to general otolaryngology. Dr. Lichtenberger then completed an advanced Facial Plastic and Reconstructive Surgery Fellowship at the Premier Image Cosmetic and Laser Surgery Center in Atlanta, GA. This fellowship, under the direction of world renowned surgeons Drs. William Silver and Louis DeJoseph, focused on cosmetic surgery of the face including rhinoplasty, face lifts, eyelid surgery, and otoplasty. He also received extensive training in facial injectables such as Botox and facial fillers. During his time in Atlanta, Dr. Lichtenberger was a Clinical Instructor in the Otolaryngology Department at Emory University. He helped train otolaryngology residents in plastic and reconstructive procedures serving as an attending physician at the Atlanta Veterans Administration Hospital. 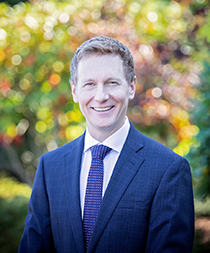 Since his arrival in Bellingham, Dr. Lichtenberger has been involved with many regional organizations such as the Northwest Academy of Otolaryngology. He has served as an instructor to resident physicians in Seattle, providing hands-on training in facial plastic surgery procedures. Locally, he is currently the Chief of Surgery Department for the Medical Staff of St. Joseph’s Hospital, and serves on the Committee on Surgical Privileging – which seeks to improve quality of surgical care in Whatcom County. He is part of the Medical Executive Committee for Peace Health St. Joseph’s Hospital, helping the medical care professionals put community and patient needs first. Focused on achieving natural results in his cosmetic patients with minimal downtime procedures, Dr. Lichtenberger brings the most advanced and up-to-date options in facial plastic surgery to Bellingham. In his spare time, he enjoys playing guitar, running, biking, and yoga. Ms. Amy Classen is a licensed Master Aesthetician with over fifteen years of cosmetic and skin care experience. Amy specializes in clinical facial care and face and body treatments at the LIFE Aesthetic Center. She offers complimentary consultations and will create a treatment plan suitable to your lifestyle and needs. Amy can help correct undesirable skin conditions and provide information about new and innovative skin care products. Amy also acts as a liaison between Dr. Lichtenberger and other staff members to ensure that patients receive the most effective treatments and care. Amy is licensed in the use of chemical peels, face and body lasers and micro- needling. She utilizes a combination of products and treatments to correct skin conditions such as Rosacea, melasma, hyperpigmentation, anti-aging concerns such as fine lines and wrinkles, elasticity and acne. Amy is also a makeup artist and loves creating new looks for her clients after treatment sessions. Amy loves living in Bellingham with her husband, Glen, and their twin boys Henry and Wyatt. Outside of aesthetics, she focuses on her new family and is currently working on a remodeling project with her home. You’ll often see Amy walking in Fairhaven with a double stroller and a greyhound at her side named Murphy. 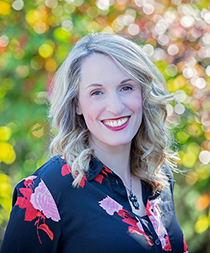 Amy’s work has been published in Skin Care Practices and Clinical Protocols, a Milady educational book. Amy also shares her latest tips about healthy skin, best skin care practices and facial treatments on her Facebook Page: To learn more, like Amy Classen, Aesthetician on Facebook. Mr. Stacey has been with the LIFE Aesthetic Center since 2002 and is recognized as one of the area’s most accomplished practitioners. He is a nationally certified Physician Assistant, graduating from his PA Program in Colorado with honors and then earning a Master’s Degree in Medical Science. He has lectured, consulted and published articles on cosmetic procedures and laser safety and is a member of the American Academy of Aesthetic Medicine and the American Academy of Physician Assistants. 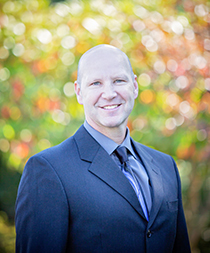 In addition to his commitment as an injector, he is a valued PA and surgical assistant for the Bellingham ENT and LIFE Aesthetic Center surgeons. He also serves as the medical associate for the inpatient behavioral health unit at Peace Health Hospital and volunteers his time with a number of local organizations. Mr. Stacey has over 15 years of dedication to the artistry of facial aesthetics and has been awarded injection certifications from Allergan (Botox, Juvederm, Voluma and Kybella) and Galderma (Dysport, Restylane, and Sculptra). He enjoys keeping himself current on new innovations in aesthetics, including updates on injectables and injection techniques and was recently honored as a Master Injector by Allergan. Mr. Stacey prides himself on natural looking outcomes and enjoys working with patients to achieve the results they desire using the most cost effective and practical approach. When not working with patients, you might see him around town with his wife and four year old son, or perhaps out on the water or exploring the mountains. 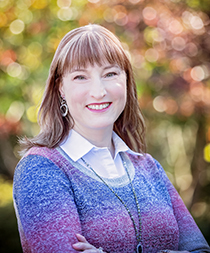 Ms. Katy Denooyer is a certified medical assistant and master aesthetician who has enjoyed doing various laser treatments and working with the doctors at the LIFE Aesthetic Center since 2000. At present, she works closely with Dr. Lichtenberger during cosmetic consults, pre and post-operative visits, prepares clients for non-surgical procedures such as Botox, Dysport, and various injectable fillers, as well as Fractional CO2 Laser Treatments. She understands that choosing to have a cosmetic procedure is a big decision and she will do her very best to make sure the process goes as smoothly as possible. Katy is very nurturing, kind, gentle and extremely thorough; she works as a liaison to make sure your questions and concerns are addressed in a timely fashion. 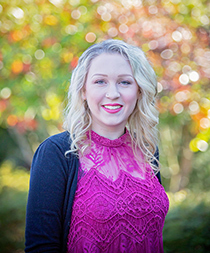 Katy is a graduate of the Whatcom Community College Medical Assisting Program and is a certified medical assistant active in the Whatcom County Chapter of Medical Assistants. She is also a licensed master aesthetician and graduate of Evergreen Beauty & Barber College. Katy values continuing education opportunities for herself and for those who share the passion of her profession. She takes every opportunity to mentor students in the medical assisting and aesthetic programs, speaking frequently at the colleges she attended. Although Katy is originally from Minnesota, she has enjoyed living in the Pacific Northwest for over 20 years and can’t imagine living anywhere else. When not at work, Katy enjoys boating and hiking the trails with her husband, Peter, and their two dogs Enzo and Rosie. She also enjoys running and training for half marathons. There are so many beautiful trails in Bellingham, it is hard to pick a favorite, but you will frequently find her at Lake Padden. Raised in beautiful Anacortes, Ms. Talyn Budnik has always had an interest in aesthetics. Talyn moved to Seattle to pursue her passion for fashion and beauty and obtained a degree in Fashion Design from the Art Institute of Seattle. Talyn is a critical part to our LIFE Aesthetic Center Team. As the Front Desk Coordinator, Talyn is generally the first point of contact for many of our new and existing clients. She understands that answering questions thoroughly and providing excellent customer service are critical to ensuring a patient has an enjoyable office visit. Outside of work Talyn is actively involved in the yoga and meditation community. She plans to one day become certified as a yoga instructor. When she’s not rolling out her yoga mat, you can generally find her spending time with her boyfriend Roman and two feline fur babies, Boosie and Lulu.